One major mistake many people planning a huge event make, especially for the first time is that they attempt to go at it alone. One soon finds that they are unable to juggle all the activities and to see all the service providers they need. With a team, you can delegate. You can also gather ideas when you seem to be stuck. As you pull together a team, it is important to be clear on what it is you are hoping to achieve with the event. Do you want to raise money? Do you simply want to create a community? The overall goal will allow you to work out who fits into which role within the team. With the team in place, you can determine the scope and the concept of the event. Remember that large-scale events have restrictions, deadlines and are heavy on time and resources. Discussing the scope will help you to eliminate issues like overspending. You will want to determine from the get-go how big the event is to be, what resources you need, and how many people will be involved. As soon as you get the team, the budget is the next important thing. Determining a budget will help you, for example, determine how many carnival rides you might need or know what foods you will work with. You will need to consider income that is generated from things like the entrance fees so that you can know at what point you break even. Note that you are not just planning for the event on D-day. You are also looking at the before and after. For example, will there be tents? When do they arrive on site? What about carnival rides? How do you transport them? How much time will be required to plan the venue? Who will perform what role during the event? Every detail of the lifecycle of the event needs to be thought out. If you are selling tickets, for example, people need to know about your event in good time to plan themselves. Think about the different communities that you are targeting. How do you reach each one of them? If you require that they commit early, be sure that the message is clear. For an example, you might want people to subscribe to a newsletter to get regular event updates. No one wants something to go wrong with their event. However, it would be unwise to fail to plan for an accident, for example. You will need public liability cover to protect you from claims of injury at your event. If you have insurance already, be sure to confirm what has been covered. You will also need to consider whether you have the proper licensing. As a rule of thumb, any activity that intrudes on someone else’s intellectual property may need licensing. This may cover everything from video to music and television program recordings. What about the actual site of the event? Do you need Council approval? Do D.A.’s have to be completed and submitted? Site inspections will be carried out by the Joylands team. They will look at all avenues – site access, width of access, are there any overhanging trees? What vehicles are required to deliver your carnival ride selection so you know there is nothing that is overlooked. There’s always paperwork! With Joyland Amusements, however, you can guarantee that we can supply all licences, registrations and insurances. We can even liaise direct with council on your behalf should you require it. Perhaps, however, one of the best tips you might get is to keep things simple. 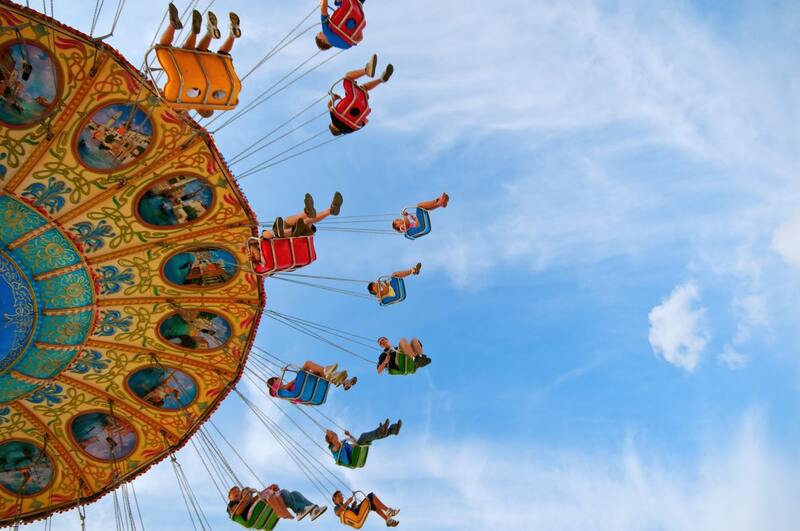 Planning a large scale event with fantastic carnival rides will offer entertainment for the whole family while engaging the help of stall holders who can show off and sell their wares is an easier way to ensure a great event. The team at Joylands are well versed in helping take large-scale events to the next level. Our team know what you need and when you need it. Let us handle all aspects of the rides so you can focus your attention on other parts of the event. From thrill rides to kids rides we have you covered. We can even handle food for your event as your patrons will love snacking on favourites such as popcorn and fairy floss! Contact the friendly team at Joylands today to see how we can help you plan an amazing event!